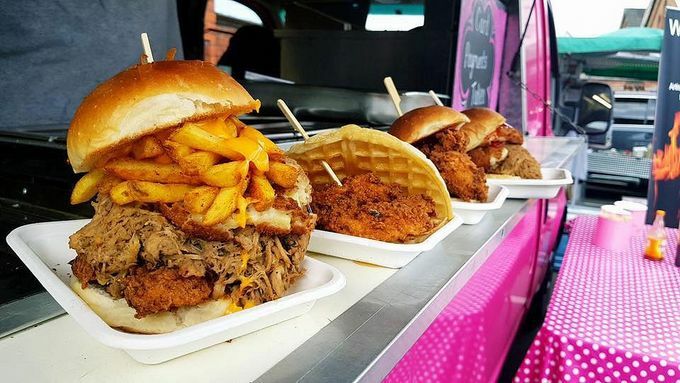 Street food returns to Trafalgar Warehouse this month, for two evenings of festive foodie fun on 4 and 11 December. The Trafalgar Street venue will be decked out in fairy lights and candles for intimate Christmas vibes, craft ale will be flowing, and a DJ will keep everyone entertained. On 4 December, expect South African food from Cape Lekker, lip smacking chicken and pork from Clucking Oinks, Mediterranean cuisine from The Greedy Greek Deli and for pudding, The Pancake Bar. A week later, on 11 December expect Mexican flavours from Sonora Tacos and Indian like you’ve never tried before from The Spice Is Right. The event is free entry and runs from 5pm – 9pm, head down after work for the perfect Monday pick me up. Love food? Head to Alive After 5’s food and drink section for more.